In Europe itself, the EU has been a success. But its new challenges are mostly global: the rise of Asia, climate change, the end of the industrial age, the information revolution and an ageing population. To address these effectively, the EU should draw strength from its values of human rights, freedom, democracy, equality and care for people and the environment. In the years to come, it will need to rely increasingly upon three key resources: the people, the sun as an energy source, and the Union itself. The EU has been perfected through generations. Its strength lies in its openness to enlargement and its readiness to deepen its structures. Rather than going through another institutional change, it should learn to use the tools it has to deepen the common market and extend it to vital new areas of competition. 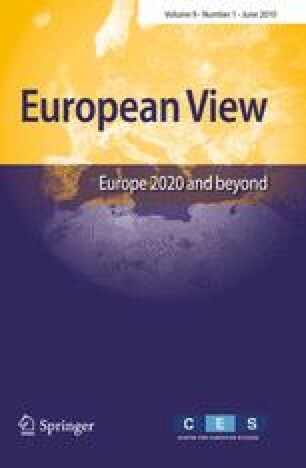 The author is the Secretary-General of the Reflection Group on the Future of Europe, commissioned by the European Council to look into issues that the European Union may face in the next 20 years and how it can respond to them. This article presents author’s personal views and thoughts, which may or may not overlap with the report of the Reflection Group. His views were shaped by and are deeply indebted to the discussions within the Reflection Group and with its guests.